Feel free to step in any time! We just got done sending Slimer off to a good home in the last Ghostbusters giveaway. Keep with the same undead theme, this week’s prize is from one of our favorite films, Shaun of the Dead. NECA has provided us with an outstanding figure and we want one of you lucky fans to win! 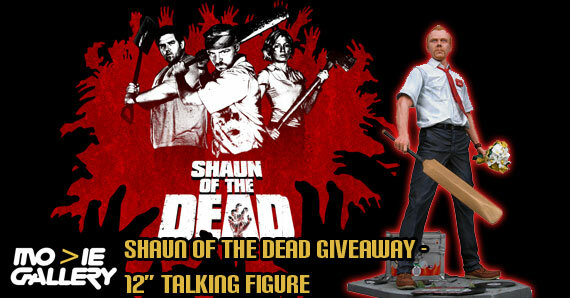 This 12″ Shaun talking action figure is the perfect piece to fight off any zombies or small animals around your house. This 12″ talking figure celebrates the genre-busting zombie comedy Shaun of the Dead! Shaun is a slacker with a dead end job. He spends most of his time goofing off with his best friend Ed at the local pub or playing video games. When flesh-eating zombies attack his hometown, Shaun decides to turn his life around by winning back his girlfriend and saving his friends and family. 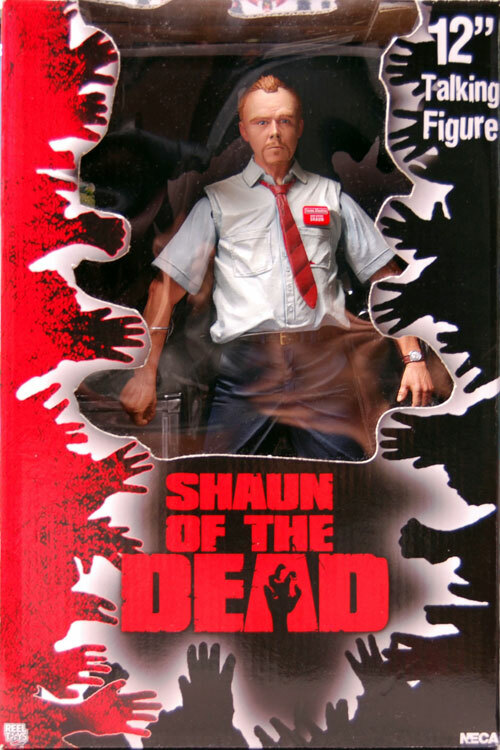 Featuring a movie accurate sculpt of Shaun as played by Simon Pegg. The poseable figure speaks phrases from the movie at the push of a button (uses 3 button cell batteries, included). 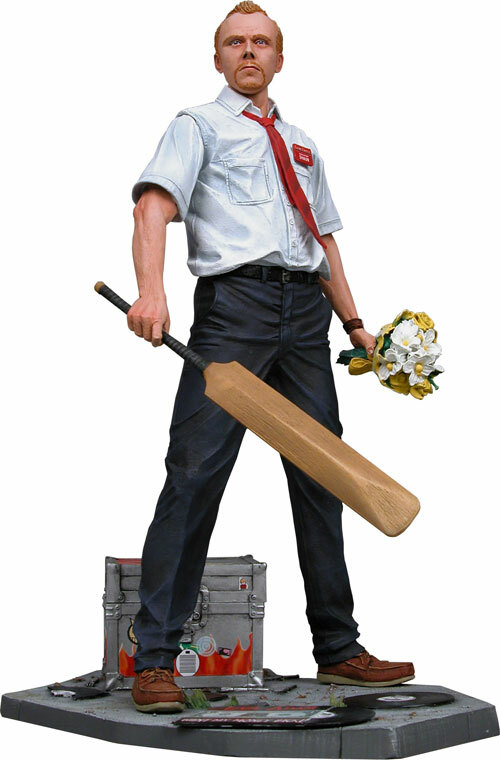 Comes with cricket bat, alternate left hand with flowers, record case with records, Evil Adam record, and display base. If you want to win everyone’s favorite zombie killer you must answer the trivia question correctly. If you use Facebook and Twitter you can gain more entries! Let us know what you would like to see as prizes in upcoming giveaways. There is a good chance your pick might be next! This entry was posted in Contests & Giveaways, The MG Blog and tagged neca, shaun of the dead, shaun of the dead giveaway by summerm. Bookmark the permalink.